New Delhi, June 7: Availing affordable cardiac stents, knee implants, the schemes tabled by the government has hit the right target. Initiating constant efforts to ensure affordability among the people pertaining to healthcare, the Jan Aushadhi Pariyojana has hit the right chords. 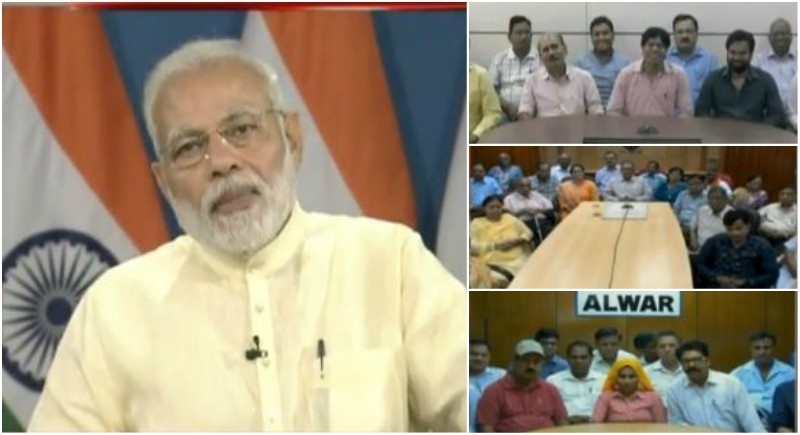 Interacting to the beneficiaries, Prime Minister Narendra Modi assures of implying to the promises made and provides best services resorting to the healthcare facilities. Implying on giving utmost services to the poor, PM Modi said that the main idea is to help the poor. Illness leads to burden the poor and the helpless financially. Therefore the government has a constant endeavor of helping the poor with availing facilities. Availing access to the poor, Prime Minister Modi highlighted the benefits of Jan Aushadhi Pariyojana to ensure proper medicines are given to the poor. Because of the scheme launched by the government many people have been benefitted because of it. Interacting with the people benefited from this scheme, the beneficiaries expressed gratitude towards PM Modi for enabling this service for the poor and middle class sector. One of the beneficiary thanked PM Modi for initiating the scheme as the price of the medicines have reduced and it has led to a simple lifestyle for them. Another beneficiary who was a shopkeeper also expressed gratitude and said that running a store under Pradhan Mantri Bhartiya Janaushadhi Pariyojna, it gives immense happiness when poor people are getting the necessary medicines and it feels great to be a part of such initiative. Humbled by the wise words of thanking pouring towards PM Modi, PM Modi further said that the government of India has reduced the prices for stents substantially which has helped the poor and the middle class the most. People under dialysis were at first given expensive rates but because of the government scheme, people have been benefitted. Knee transplant has also become quite affordable for the people. Lastly the Prime Minister emphasized that the Swacch Bharat Abhiyaan has had an important role in creating and reshaping a healthy life for the people.